How do I find the best play? 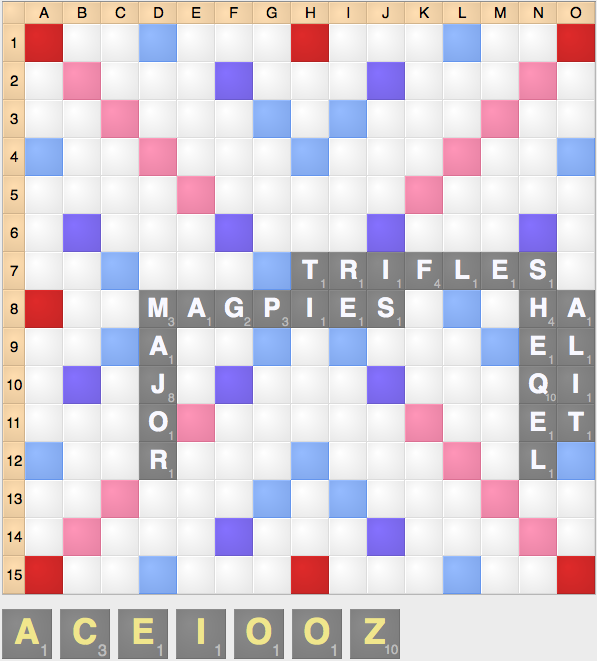 This is the ultimate problem facing any aspiring tournament Scrabble player. While we see many options and possibilities, figuring out what we should do is not always the simplest task. Many players make decisions based on intuition and feel rather than deduction, analysis and logic. Finding the best play is not an opinion, it is a deduction. 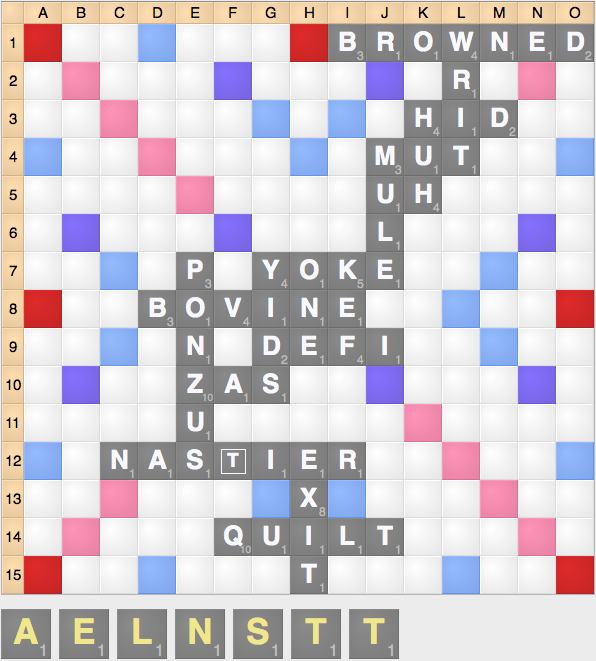 To me, the best way to approach Scrabble is not by whim: it’s as treating every position as an exercise in problem solving. While some problems are easy (it doesn’t take a genius to figure out what to do with ABCGIKN or AAIIOOU), some challenges are more difficult and context-dependent. 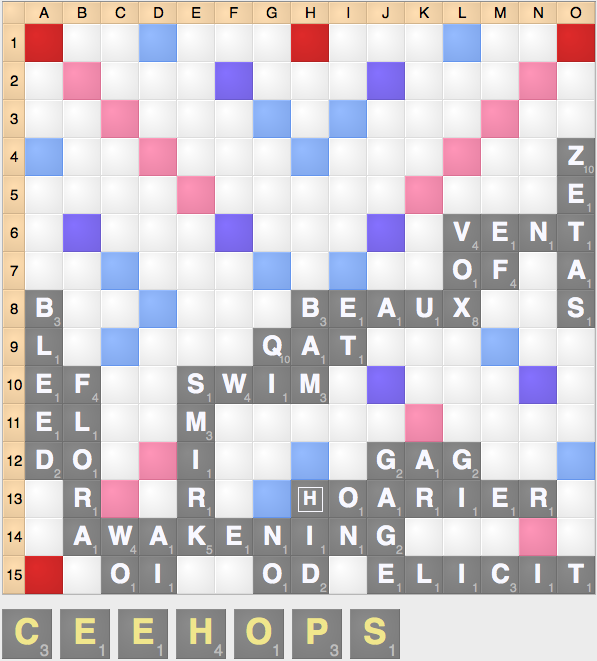 This article seeks to change the mindset of strategic Scrabble players, treating Scrabble as a set of puzzles and quandaries that require solutions and enabling these players to make better plays that will help them win more often. It seeks to illustrate the various problems that might occur over the course of the game as well as how players can come up with potential solutions by creating subgoals to solve these problems while still scoring a reasonable number of points. In this position, the primary problem that you need to solve is that you’re behind on a closed board, and you need to make a comeback, probably involving a bingo. While a play like CHEZ 4l has by far the best points + leave combination, it doesn’t solve this problem very well. Meanwhile, a play like COPE k3 or HE k5 does a much better job of solving this problem, and is thus a better play: it scores reasonably while also providing decent bingo opportunities because of their respective S-hooks. In many positions, there are multiple problems that need to be addressed: you have 5 vowels in your rack and the 6j TLS is a powerful scoring spot that you’d like to block, with plays like QIS, XIS, KIS, etc. scoring a boatload as a parallel play.While there are many plays that block that spot (such as ECO, ICE, and COOF) and many plays that get rid of vowels (such as GAZOO and OOZE) the best play that does a good job at achieving both of these goals is CIAO 6j (32). Although there are plenty of plays that score well, those other plays only achieve one of those primary objectives, while CIAO achieves both. In some cases, there are multiple options that attempt to solve a problem, but one play solves the problems better than others. In this case, you need a bingo line as well as a way to balance your rack for a bingo next turn. Here, a play like LAT 13b might solve your issues, but it leaves more openings and keeps a worse leave than a better option such at TONE h6 (4). These are just some of the many ways that approaching Scrabble as a problem-solving exercise can help you become a better player. In the end, every thought or play that you make should have a point: a purpose that ultimately will help you win the game in the long run. 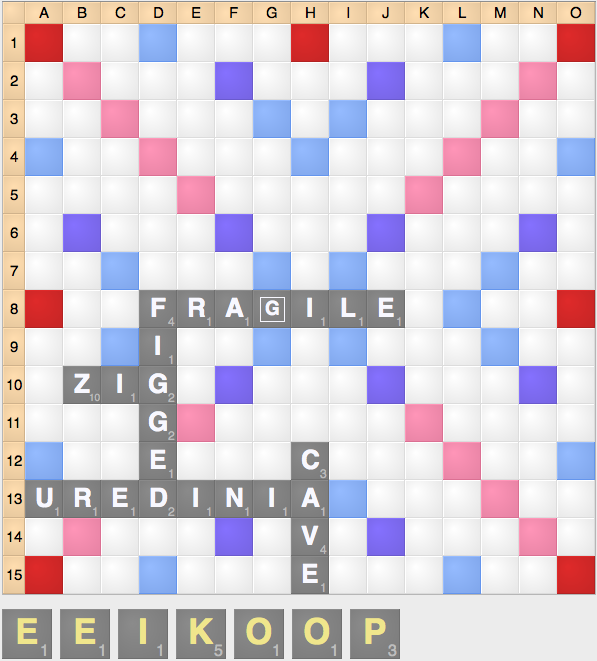 Approaching Scrabble as a problem solving ultimately solves the only problem that matters: how to win the game.